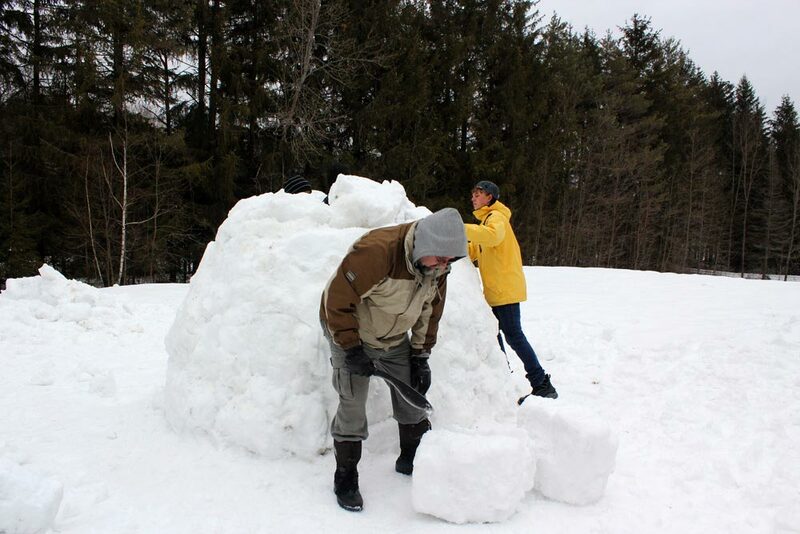 What do you do when you want to have a winter camp, but there's no winter? 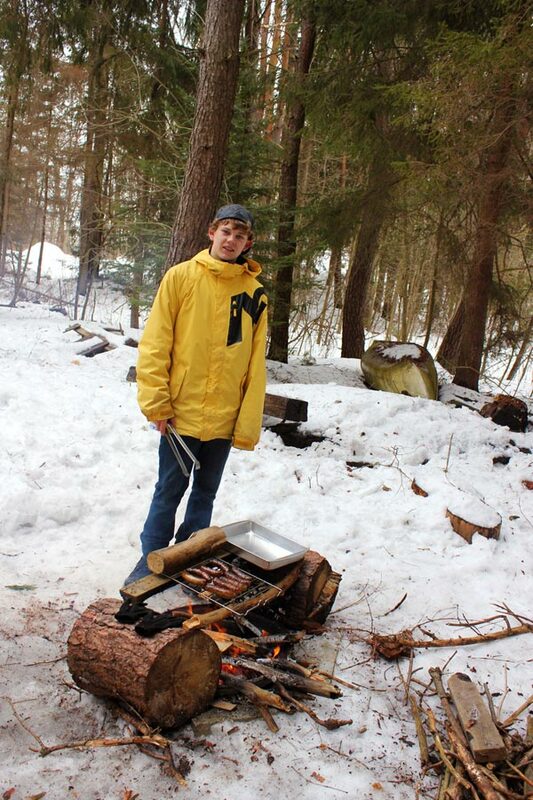 We went up to the cabin with the plan to make snowshoes even if there was no snow. 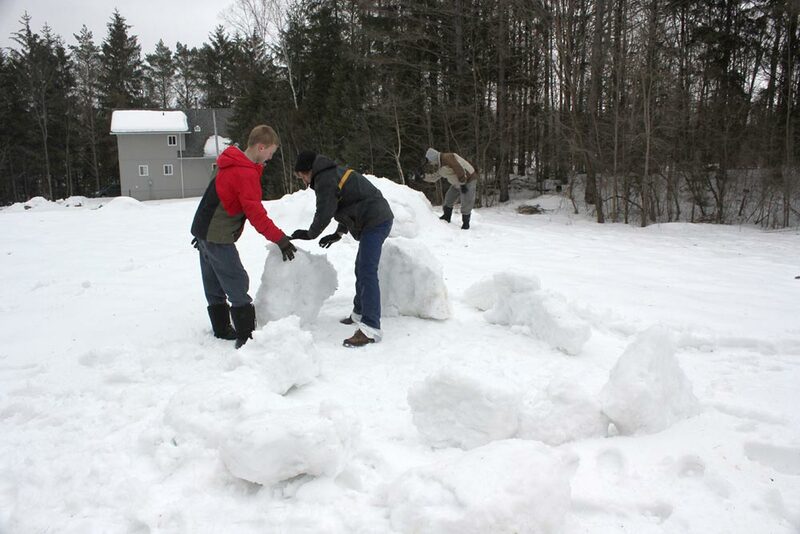 When we got there we found the remains of six quincies that would be excellent for cutting igloo blocks. 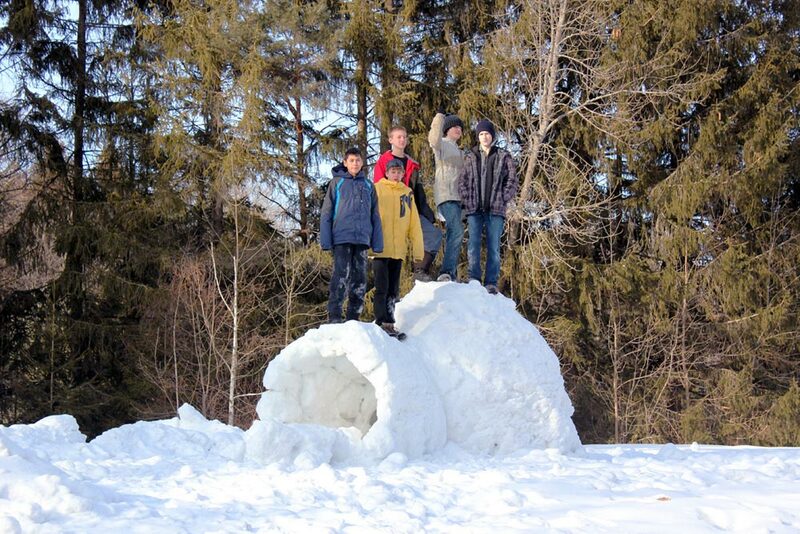 With the help of our master igloo builder, Cole, the boys put together an impressive structure. The end product was very stong. As we had a late Saturday night, unfortunately nobody ended up sleeping in it. and a rather well done pork roast was baked in a dutch oven. I think everyone has to experience one char-burned dutch oven dinner in order understand the need to control the fire.